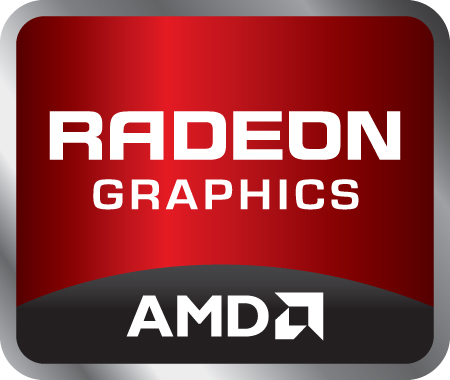 The AMD Radeon HD 7550M (sometimes also called AMD Mobility Radeon HD 7550) is a DirectX11 middle class graphics card for laptops. It is based on the same chip as the Radeon HD 6630M, but only 5 SIMD-engines (= 400 shader) are activated. Furthermore, the memory interface is only 64 bit wide, but supports DDR3 and GDDR5. Depending on the version, the core clocks are between 450 an 550 MHz. The architecture is based on the Northern Islands generation, manufactured in 40nm. The 400 stream processors should be still based on the "old" 5D architecture similar to the 5000 series. Therefore, the number of shaders is not comparable to the 1D cores of current Nvidia GPUs. The tessellation performance should be improved (like the desktop 6800 series) with the new cards. The stream processors can be used with DirectX 11, OpenGL 4.1, DirectCompute 11 and OpenCL. With the later two the cores can also be used for general computations like transcoding videos. The 3D performance, limited by the small memory interface, is well below the Radeon HD 6530M. Therefore, current games (2011/2012) will run fluently only in 1024x768 or 1366x768 and low details. Playing highly demanding games like Anno 2070, a further reduction of the settings could be necessary. Furthermore, the HD 7500M series integrates a HD audio controller to transmit HD audio (TrueHD or DTS Master Audio) over HDMI and DisplayPort (e.g. for Blu-Ray videos). The power consumption of the chip should be similar to the Radeon HD 6530M and therefore suited for smaller laptops (13-14").